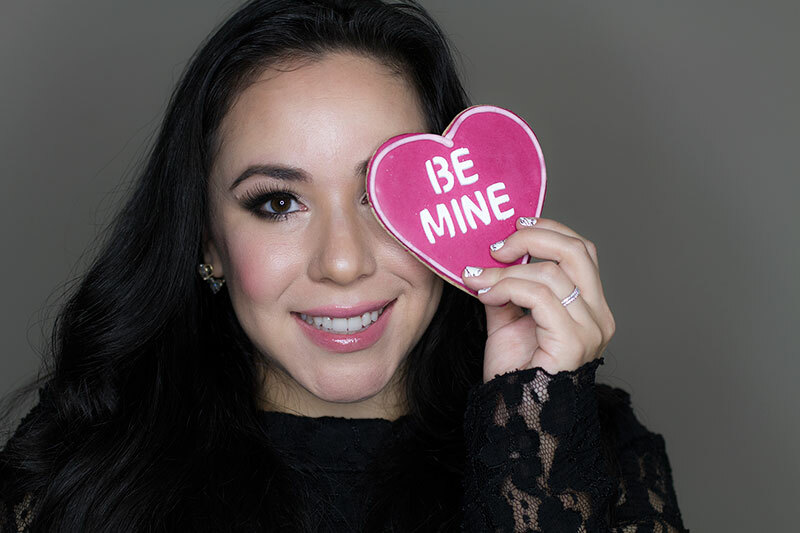 Valentines Day is coming up next week, so I will be sharing 3 Valentines Day makeup looks that work not only for your Valentines Day date night, but any other night too of course! 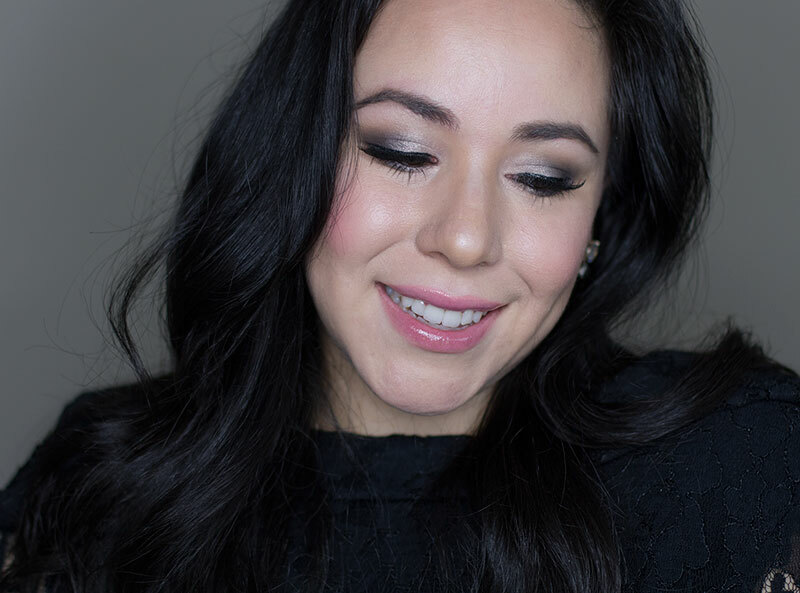 To kick things off, I went with an easy smokey eye makeup look with long, lush, lashes. Keep scrolling to see a step by step on this look, or to watch the step by step tutorial. For they eyes, I used shadows from my BH Cosmetics MakeupbyMandy24 palette. 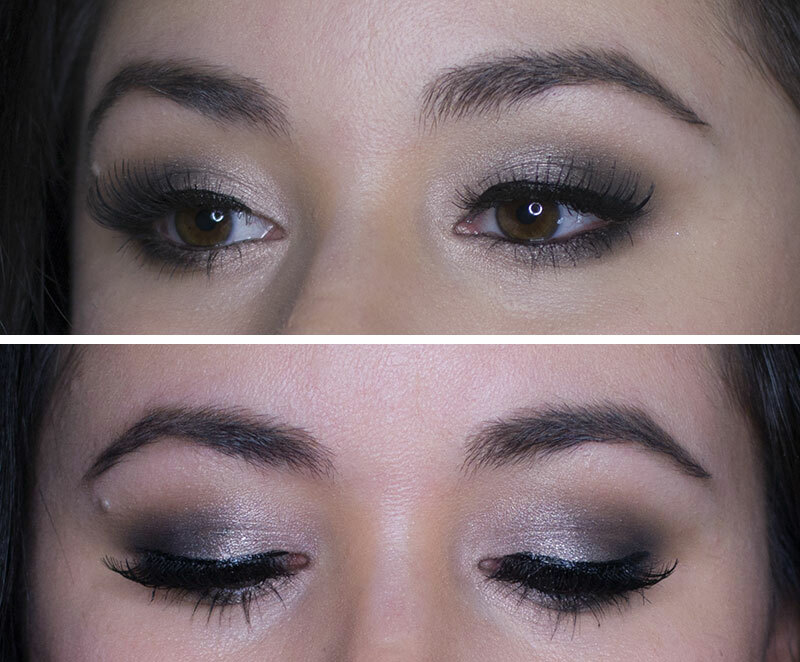 Step 1: I used the brown color on the crease of my lid to work as a transition color for the black. Step 2: I applied the black color on the outer corner of the lid, then blended it towards the middle of the lid and to the crease. Step 3: I applied the pink shimmery color (top left on palette) on the middle, inside, area of the lid and made sure it blended slightly into the black. I also applied this color this same color on the inner corner of the eye, and lower inside corner as well. Step 3: On the brown bone, I applied the white shimmer color (top middle on palette) as a highlight. Step 4: I applied both the black, and the black shimmer color, on the outer lower lash line. Step 5: Lined my lids using the liner in the palette, but did not make a winged line. Step 7: I finished off the eyes by applying a little bit of mascara to both the top and bottom lashes.